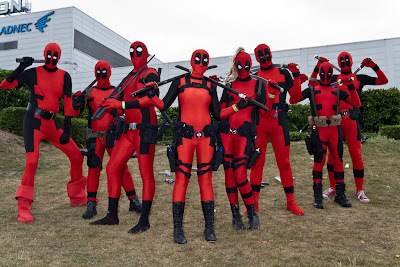 There has been a lot of great Deadpool cosplays and so I created this page to organize them all. Ryan Reynolds who plays Deadpool in the 2016 film has appeared in numerous promos as Deadpool. He also went Trick or treating with a young group who were dressed as the X-Men. 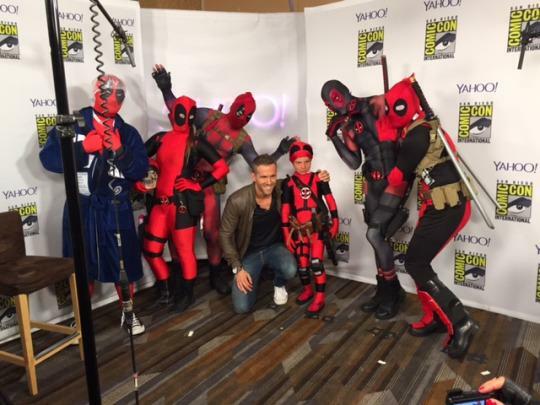 The X-Men posed for a pick with Ryan wearing his Deadpool costume from the film. Now that would be an interesting group to see show up at your door.